Hi there! 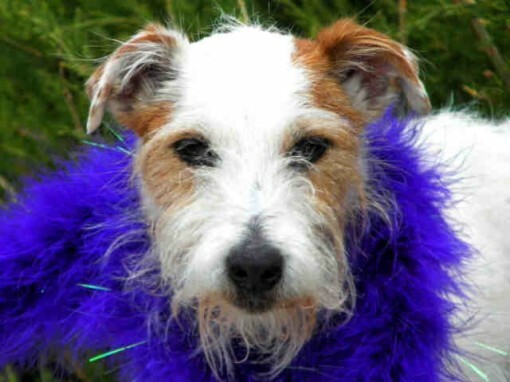 I’m Sophie, a 6-year-old spayed white Jack Russell terrier. I came to HSPPR in February. My previous owner said I had been having seizures, so after monitoring me in foster care for a while, HSPPR examined my situation and started me on a life-long medication. I’ve been fine ever since! I love going to parks and I seem great around other dogs. I am crate trained — but I would much rather snuggle in bed with you! I’m a very laid back girl who loves car rides and spending time with my favorite people. Won’t you come take a look at me today? My adoption fee is $130 and includes a voucher for a veterinarian exam, vaccinations, 45 days of pet health insurance, a 1-year dog license and a microchip. Stop by Humane Society of the Pikes Peak Region at 610 Abbot Lane in Colorado Springs to see me and all of my friends! Click HERE for directions. Sophie has gone home to her lucky family!